Our Tomato Plants Have Withered!! 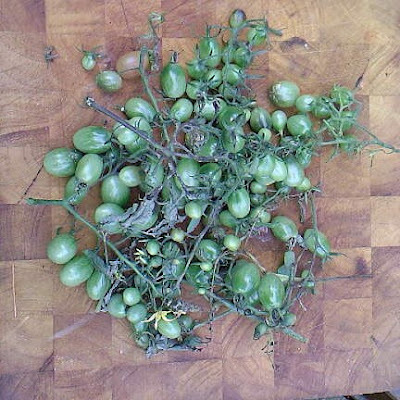 Not really enough to make a chutney, so apart from fried green tomatos, any ideas? Of Course it’s a root burl. Or to be more precise a burl that has separated from its parent tree and then rooted. Before it could put up any shoots along came your pal the bushwacker and snaffled it. Burls are a great example of the adage ‘it’s the exception that proves the rule’ if you took any woodwork classes at school you may remember being told that wood ‘always’ grows in strait fibers that form the woods grain, then along came a burl to disprove that generalisation. Burls do have grain but it’s not straight, in fact its usually in interconnecting spirals. If you get the first stages of curing right they form an incredibly hard and stable piece of timber. They are dense, hard to carve, but very beautiful. Because of the random super tight grain they are far less likely to split, even if they get wet. I’ve been an avid Burl collector for a few years but most of my collection are pretty small. They become handles for fire steels and brushes. Occasionally I find some larger specimens and this one came along just as I was thinking about Mungo’s request for a Kuksa. Most european bushcrafters have a fascination for the Sammi or Laplanders of Finland.They live in some of the most beautiful and challenging terrain europe has to offer, and are masters of cold weather living. They have developed some equipment that has been ‘field tested’ over generations. The Puukko knife and the Kuksa (or wooden cup) are icons of european bushcraft. Both use burls from the birch tree in their construction.The clever thing about a wooden cup is that however cold the weather it wont stick to your lips, and is a fair insulator, keeping hot drinks and soups warmer for longer. 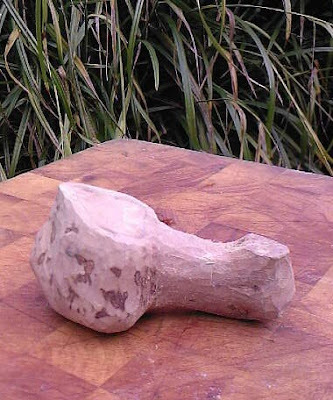 For a really good kuksa tutorial see Jon’s Bushcraft. Bearclaws are the only people I’ve seen selling proper hand carved Burl Kuksas, not cheap but look totally authentic.